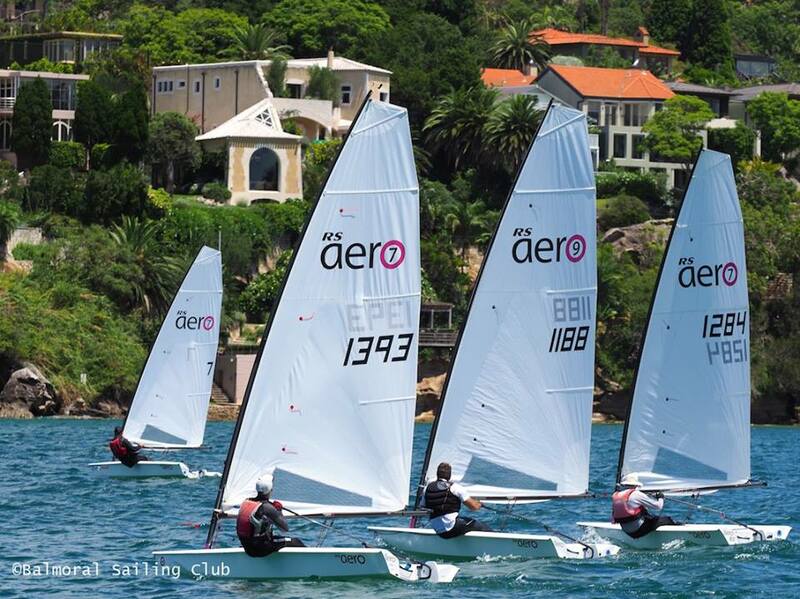 Balmoral was the first Club in NSW to adopt the Aero and now has 10 boats there. 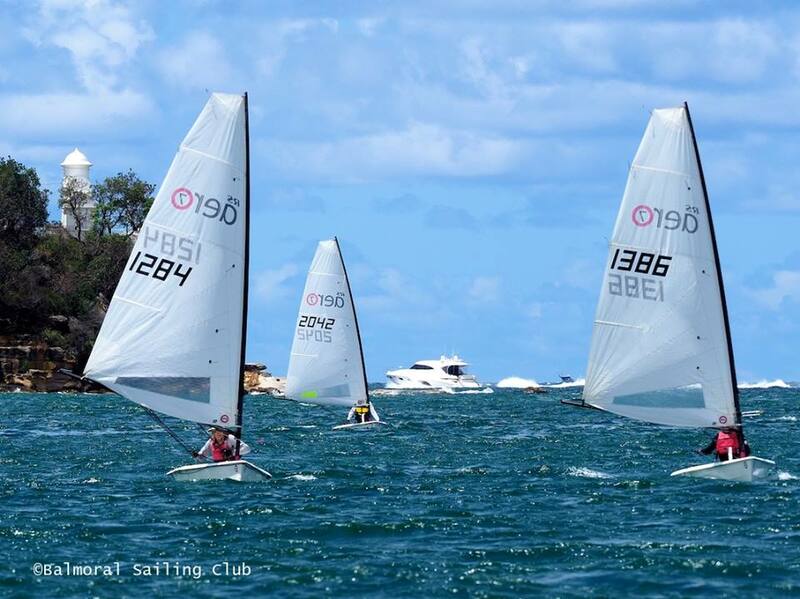 As the Class is so new in Australia the NSW Distributor, The Life Aquatic, hired Michael 'Fletch' Fletcher as the coach for the weekend to provide support and guidance to all competitors. 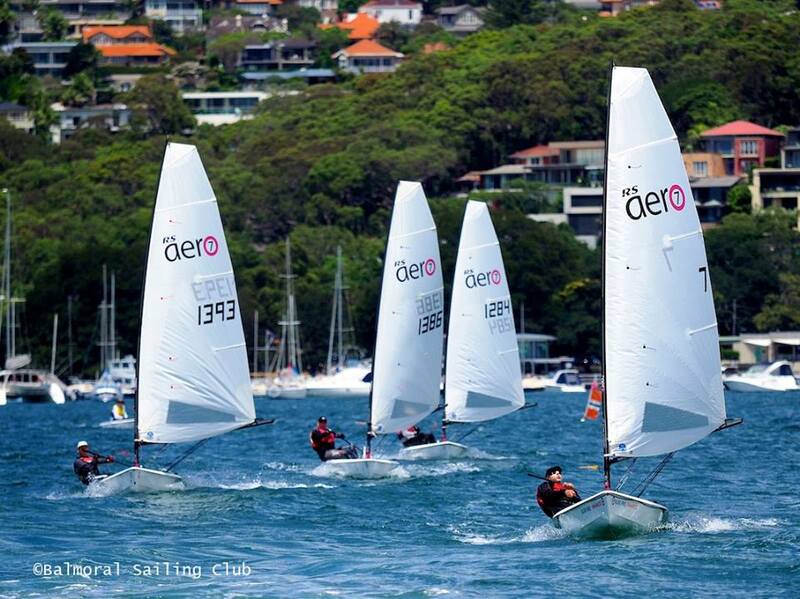 Fletches knowledge of unstayed rigs as the Olympic Finn and Laser coach over the years gives him a great insight into setting the RS Aero’s up, and by the end of the event all sailors were sailing their boats way better than when they started! After an evening training session on Friday, the event got underway on Saturday with three races. 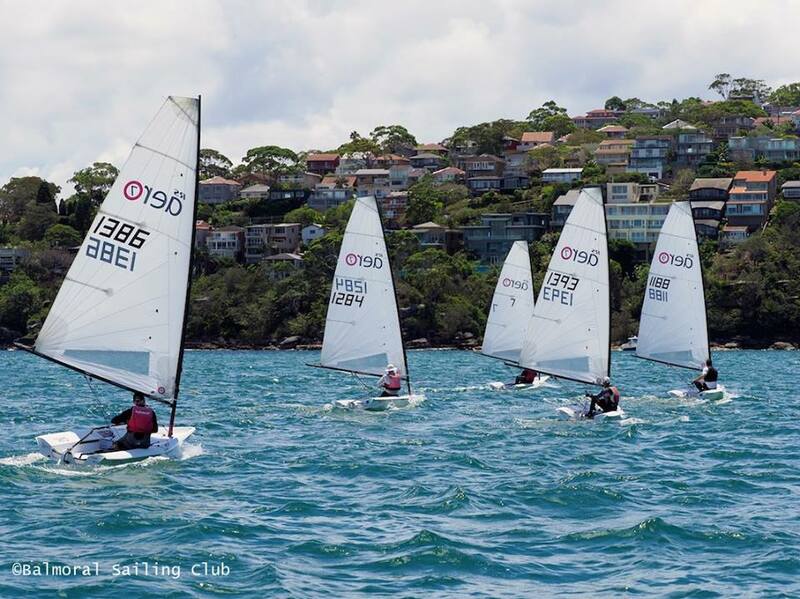 Conditions were 'interesting' with southerly winds in Middle Harbour creating a challenging, shifty race course. However the experience of the Balmoral Race management team meant the races got underway promptly and with a fair track. Winner of the first race was class newcomer Phil Bookalil from Middle Harbour sailing a chartered boat. An experienced Laser sailor and local he was able to get a grip on the shifts and put together an excellent race. He then backed that up with a win in the next race in the growing breeze. Simon Reffold (Balmoral SC) was OCS but Phil and Nick Collis-George (Balmoral SC) fought it out for the whole race, Phil finally getting the upper hand. A rain squall bought well above 22 knots to the final race of the day and Simon executed a classic 'Bradbury', missing the carnage at the top mark and remaining upright for the rest of the race. Not far behind him current RS Aero 5 rig National Champion (but sailing 7 rig this weekend) Chris Brain, from Sugarloaf in Victoria, ended the day well with a second place. The next day brought somewhat more sedate conditions, but local knowledge was again to play a vital role. Nick Collis-George came out the gate fast in the first race and when the breeze clapped out, was able to keep his boat rolling and extend to a comfortable victory. Thankfully the breeze came back up again and the fifth race was a close fought affair. This time Balmoral Commodore, Graham Hanna, was challenging the top four and managed a third place, just behind Nick and Phil who were by now cementing their positions. In a solid 12-14 knots the last race was incredibly close with a blanket covering the top four at every mark. In the end Nick pipped Simon on the line to take the race and, convincingly, the Championship. Phil Bookalil was second and Chris Brain a tight third.